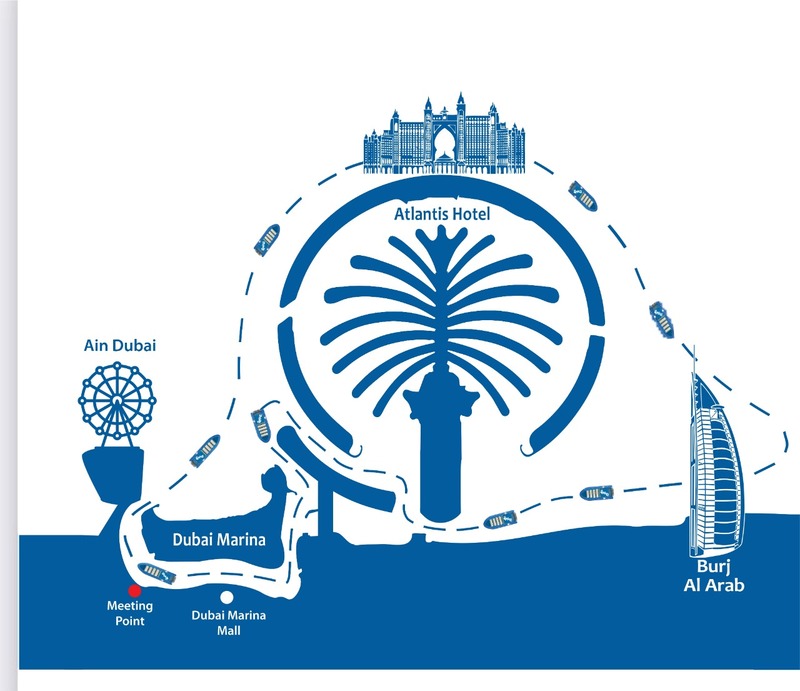 This tour is all about the Dubai Marina. This canal city stands out as the home of Dubai's most fascinating buildings. As beautiful as it looks in the morning with its skyscrapers, it looks even more impressive when illuminated at night. 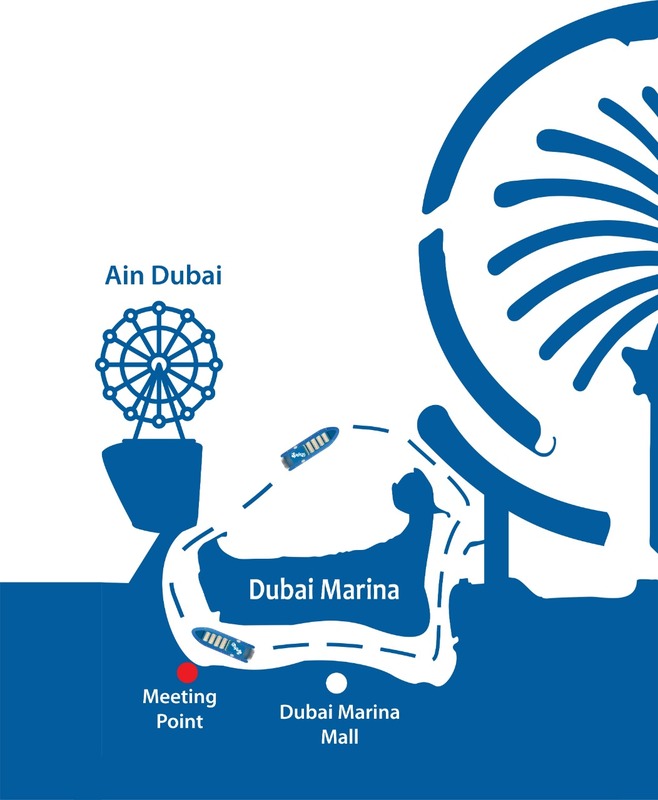 *Please bear in mind that the official speed limit inside the Marina is 4 knots. Alternatively, our high-speed RIB is available for an exclusive charter which can carry up to 10 passengers at a time. To make an exclusive charter, please call our sales team on 800 - 4 - SPLASH (775274). 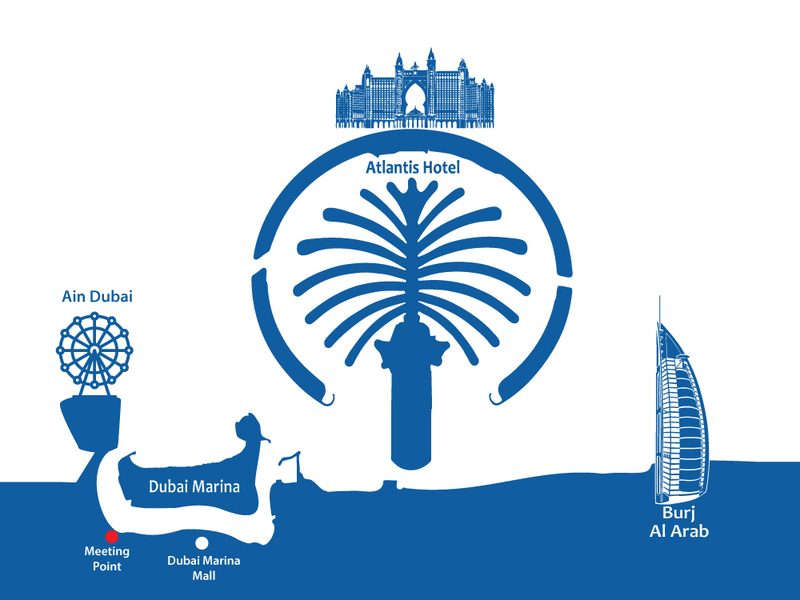 Enjoy Dubai's coastal landmarks from a different perspective. At Splash Tours we pride ourselves on providing safe sightseeing tours around the coastal landmarks. The tours start early in the morning with additional late evening hours. 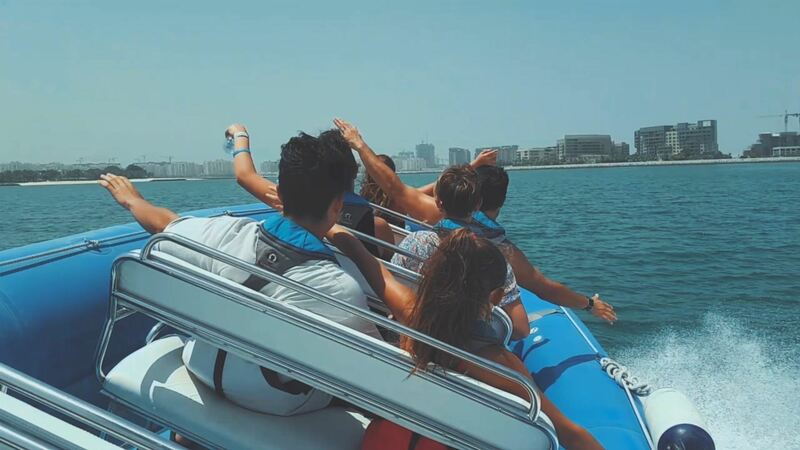 Whether you are into sightseeing, action or water based activities you will surely enjoy what’s considered as one of the best 10 things to do in Dubai. Check out our attractive packages to save more & see more! “We highly recommend this tour, not only did we get to see some fantastic architectural buildings but we got to learn all about them. Our tour guide was brilliant, we had so much fun. He was very knowledgeable as to the future developments that were being built and who owned them! We managed to get lots of great pictures of our party as he knew the best spots to stop for photos! We have already recommended this tour to friends who are visiting next month. Really good value for money. 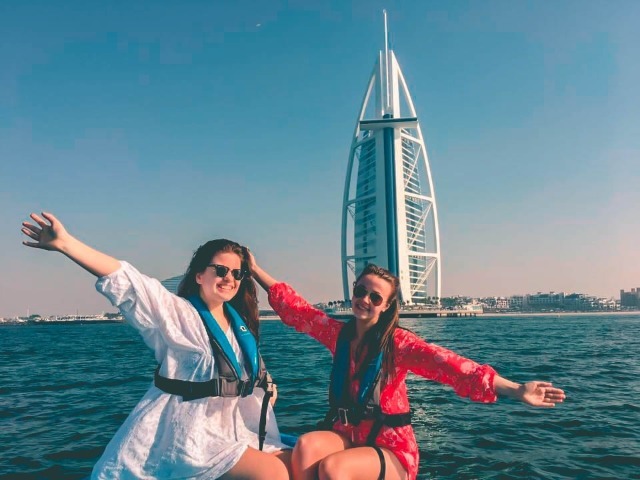 “A really great and fun way to explore Dubai and see it in a totally new light. 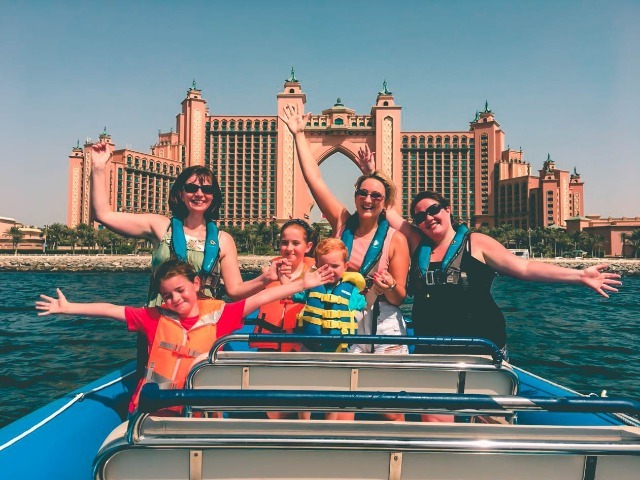 We took a Splash tour in the evening from the Marina out to Burj Al Arab, Atlantis and across the coastline. 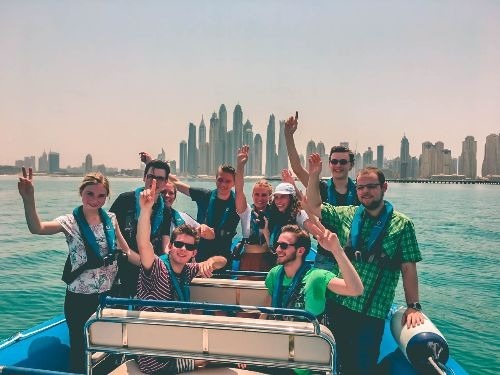 What an excellent experience of Dubai! Our guides were very helpful and we felt incredibly safe in their care, even though it was pitch black on the water. They often checked in to see if we were ok and made sure we were comfortable at the speed we were travelling. An awesome experience. “We did the 90 min tour which was amazing. The driver was great and very informative. He stopped whenever you wanted and even took lots of photos outside the different points of interest for you. Well worth the money and was a fantastic way to see all the great sites. 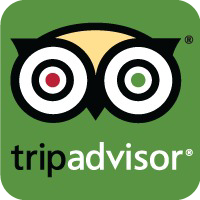 We'd love to guide you if you have further questions about our tours.